"Osaka Hamlet" tells the story of the Kubo family and their life in Osaka. 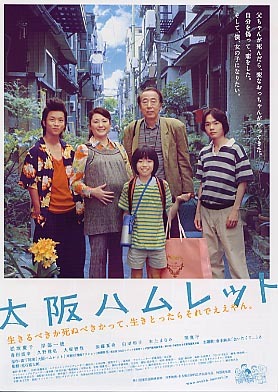 The mother (Keiko Matsuzaka), a hospital attendant by day, a club hostess at night — raises three sons with their uncle (Ittoku Kishibe). There is Hasanori - the skinny-but-spunky sixth-grader who likes to cross-dress, Yukio - the punkish junior-high-schooler who becomes fascinated with "Hamlet," and Masashi - the high-schooler who falls for a an older woman with a father fixation. Based on the bestseller comic by Hiromi Morishita.